12.5-Inch Cast Iron Skillet Just $17.83! Down From $100! You are here: Home / Great Deals / Amazon Deals / 12.5-Inch Cast Iron Skillet Just $17.83! Down From $100! At Amazon, you can score this 12.5-Inch Cast Iron Skillet for just $17.83 down from $99.99 PLUS FREE shipping with Amazon Prime or for orders $25 or more! 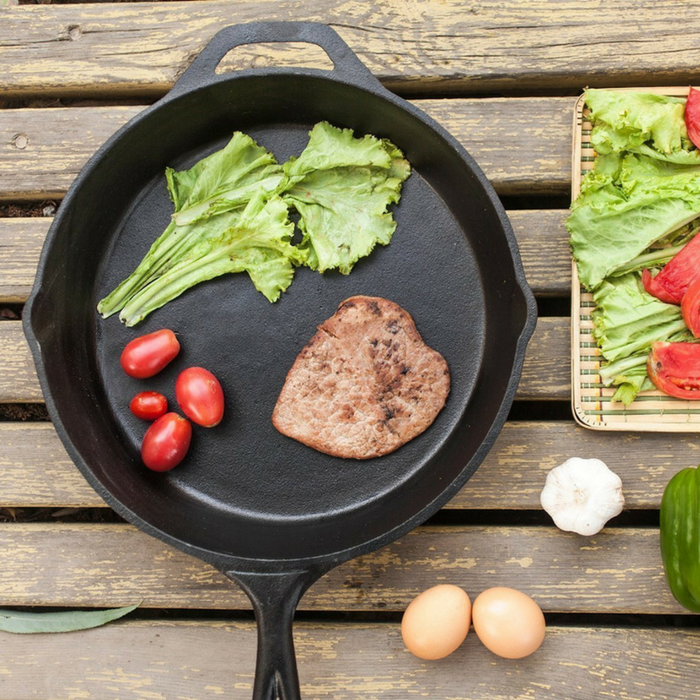 With this Pre-Seasoned Cast Iron cookware now cook all you can; whether it be steaks, paninis, vegetables or anything you like your tummies to be fed. The perfectly sized wide diameter allows an ample cooking space, making it compatible with oven, stove, grill or over a campfire. This skillet can be used on various heat sources including gas, electric, induction and ceramic-glass top stoves, and ovens. The comforatble grip Silicone Handle makes hot skillet handling convenient on the stove top and protects hands up to 450° F. Prepare delicious dishes and indulge into the best cooking experience at home with this cookware. Whether it is searing, sautéing, simmering, braising, baking, roasting, or frying, this has it all. Cast iron cookware is comparatively less smoother than the Non-Stick cookware.